Tooth decay has become a major endemic disease, affecting 60 to 90 per cent of school-aged children. A major shift in our dietary habits has altered the oral microbiota composition in our mouths, according to Dr Christina Adler. Prehistoric and medieval skeletons have revealed the incidence of dental decay could be worse than ever because of a decline in modern human's oral microbiota levels. 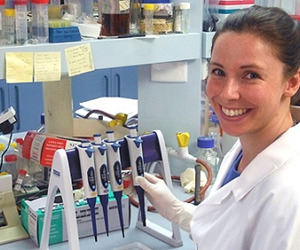 Results of the four year PhD study by Dr Christina Adler, Faculty of Dentistry at the University of Sydney have been published online today in the journal Nature Genetics. 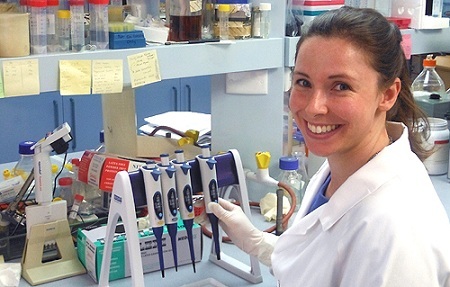 A major shift in our dietary habits has altered the oral microbiota composition in our mouths said Dr Adler, who worked with an international team including researchers from the University of Adelaide's Australian Centre for Ancient DNA on the research project. The team, including archaeologists and anthropologists, collected and analysed calculus samples from skeletons dating from prehistoric and medieval times. "The composition of oral microbiota underwent a distinct shift with the introduction of farming in the Neolithic era with the earlier hunter-gatherer groups displaying fewer caries (tooth decay) - and periodontal disease associated bacteria," Dr Adler said. "We found that the composition of oral microbiota remained surprisingly constant between Neolithic and Medieval times, after which cariogenic (tooth-decay promoting) bacteria became dominant, we think during the Industrial Revolution." "This is the first record of how our evolution over the last 7500 years has impacted the bacteria we carry with us, and has important health consequences," Study leader, Professor Alan Cooper, Director of the University of Adelaide's Australian Centre for Ancient DNA, said. Dr Adler said modern oral microbiotas are markedly less diverse than our historic populations and this might be contributing to the current state of chronic oral disease associated with post-industrial lifestyles. "Imagine your mouth is like a forest," Dr Adler said. "In the past our mouths were like a very diverse forest, with a huge variety of trees. Today our mouths are like a sparser and less varied forest, and with this loss of diversity we are less able to cope with stresses, and hence are more likely to be in a disease state. "Caries (tooth decay) has become a major endemic disease, affecting 60 to 90 per cent of school-aged children in industrialised countries, whilst periodontal disease occurs in 5 to 20 per cent of the adult population worldwide. "Importantly, oral bacteria are also associated with many systemic diseases including arthritis, cardiovascular disease and diabetes, in addition to diseases of the oral cavity, which gives this research further significance." Oral microbiota may not have underwent a distinct shift to a new type of bacteria at sopme point in history if they already been able to change any carbohydrate to acid but only as the acid demineralisation exceeded saliva and other remineralisation as carbohydrate consumption increased, especially with the advent of sugar. The major shift seems to be in the diet.